Chefs across the country are taking something inherently craveable and familiar — cheese — and relying on it to elevate a menu item. Infinitely adaptable and universally loved, cheese offers a sound strategy in modern menu development. Here’s what’s hitting creative menus today. Timothy Griffin is the director of culinary innovation at Kona Grill, an upscale casual grill based in Scottsdale, Arizona. 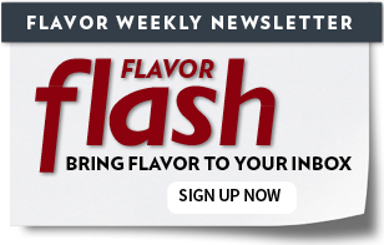 We asked him to share a flavor trifecta that demonstrates creative, unexpected flavor play. Jonathan Rohland is the culinary director of Bartaco, a “beach-culture inspired” restaurant brand based in Norwalk, Conn., with 15 locations mostly on the East Coast. He shares five flavors that inspire his culinary creativity. Luca Brunelle, executive chef for The Gideon Putnam in Saratoga Springs, shares his five flavors that inspire culinary creativity. John State, culinary director at Disneyland Resort, shares the trifecta of flavors that inspires him. Gerry Ludwig calls out three leading-edge ingredients, showcased at the CIA’s Worlds of Flavor conference. The array of moles, served on a wooden platter with rice, demonstrates the menu potential of this craveable sauce.